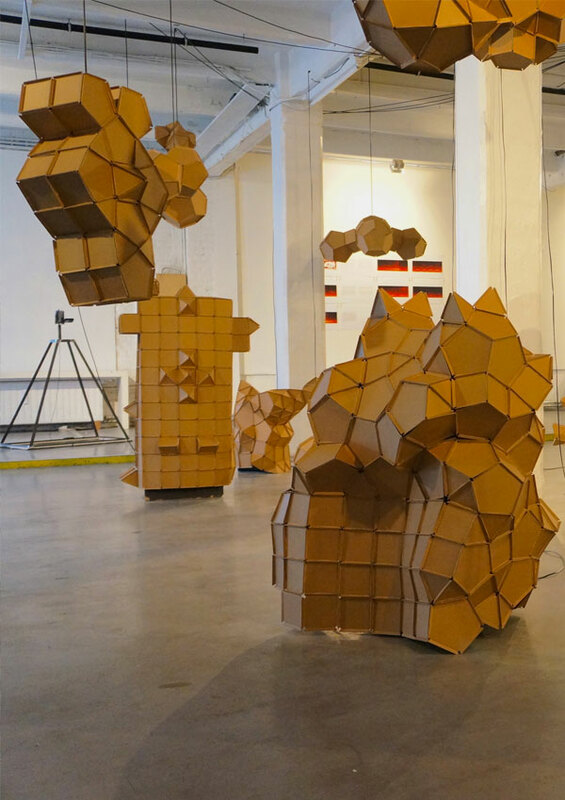 Floris Vanhoof ’s “Polyhedra” is a sound work that freely elaborates on a device we consider to have a quite standard shape and function: the speaker. Forgetting the functional black parallelepiped with rounded holes for the speaker(s) he has created forty different geometric shapes, which constitute an “orchestra” and, inherently, a new instrument. Vanhoof researches with our perception of forms and sound through artworks. 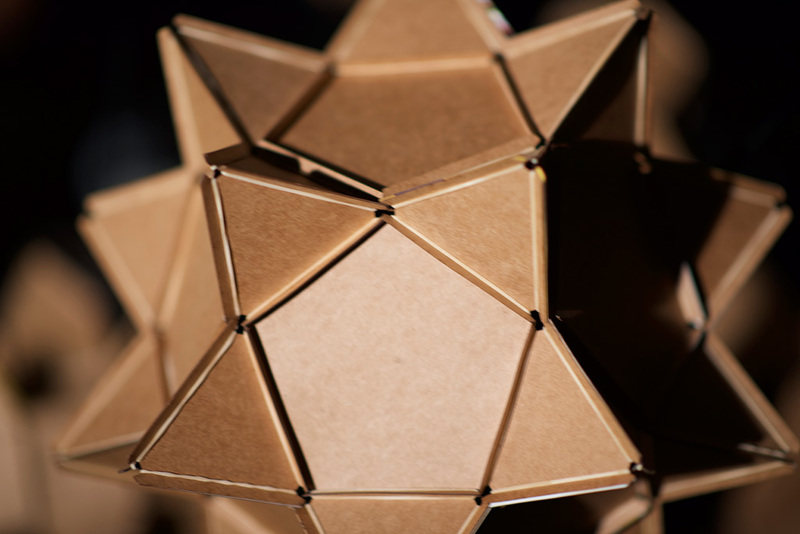 Polyhedra is clearly part of this research as it raises doubts about the mandatory acoustic arrangements we have learnt and applied. His installation sends literally a “cloud of sounds through space” whose different sound volumes and placement in space translates as an original listening experience. Each speaker, because of its shape, renders the sound differently, contributing to a richer acoustic “image” which is enhanced by the programmed circulation of sounds. 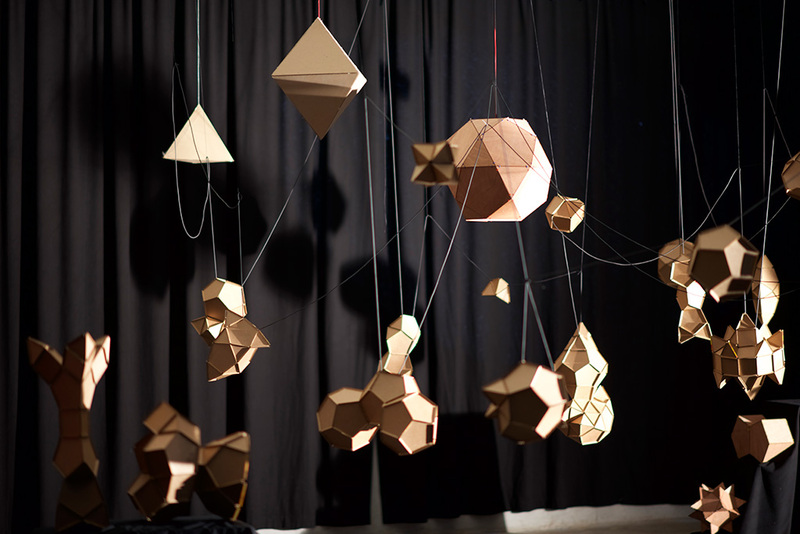 Despite its sculptural qualities, Polyhedra allows our acoustic senses to move and travel in synch.